San Gil is known as the “extreme sports” capital in Colombia. A place with deep canyons and large green mountains. Trevor and I headed to this area for our last hurrah together for awhile. Trevor is staying the country a couple more weeks, then heading back to the US for a little while to take a class and visit family. In theory he will be heading to the Bahamas after, but they have not confirmed him as of yet. I thought this would be a nice place to hang before moving back to the US and San Antonio indefinitely. San Gil itself has some steep hills similar to San Fransciso. The pictures below reflect the colorful colonial town with cobble stone streets. There wasn’t a whole lot to do in town for tourists extreme join in some rafting, paragliding, downhill biking, caving and more. We walked around town some and explored the streets and squares and avoided the occasional rain storms. The first few days we stayed in San Gil proper and then knowing that I was going to be moving to the seventh largest city in the US we decided to stay for five nights in a “luxury camp” up the hill from San Gil. The place was called La Pacha and is owned by a English guy and his Colombian wife. We stayed in a geodesic dome with a nice bed. They run a sweet little camp in the hills and offered a quiet nights rest amongst nature. 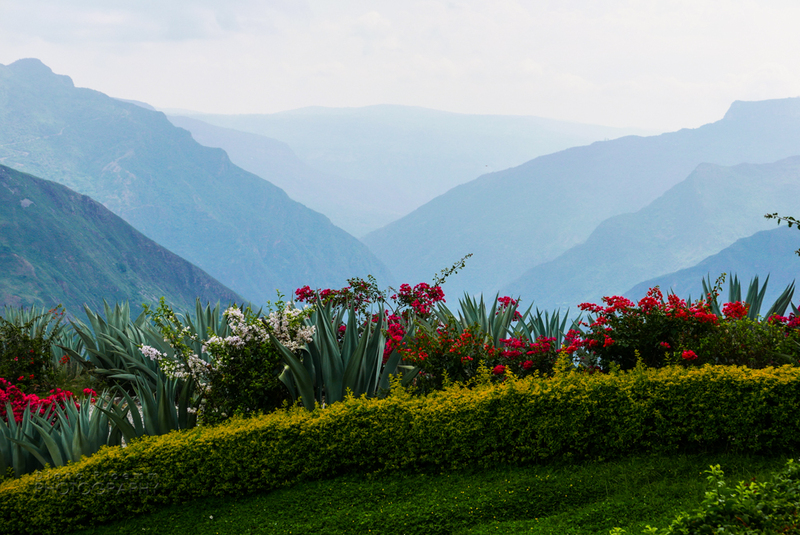 We spent a day in Chicamocha National Park where we went to an overlook with interesting art sculptures and rode a gondola from the park, down to the Chicamocha River and back up the other side. This ride offered some amazing views of the canyon and cost around $11 a person to ride. Just 20 miles from San Gil is a Spanish Colonial town of Barichara. It’s lined with cobblestone streets, and red tile rooftops. The town was declared a national monument in 1978 and attracts tourists from all over the world. It is a quaint and clean town offering small town charm including it’s people. My heart is saddened that I have to leave Colombia as I have grown to love it (can’t say I fell for the typical food though…) and look forward to returning again some day. Diana is an adventure photographer traveling whenever and wherever she can. The Bigger Picture uses my love for photography to capture real people using recreation to gain wellness and happiness. Diana Proemm is a Certified Therapeutic Recreational Specialist (CTRS) with a photography and travel problem. She provides RT consulting and photography services throughout the USA and beyond.